As picture 22 but with colours. Note flat and wide oil-cooler intake before windscreen and you also can see the port-bubble fitted on the center-fuselage cabin door. The less you had a big head, the more you had a vision field...!!! 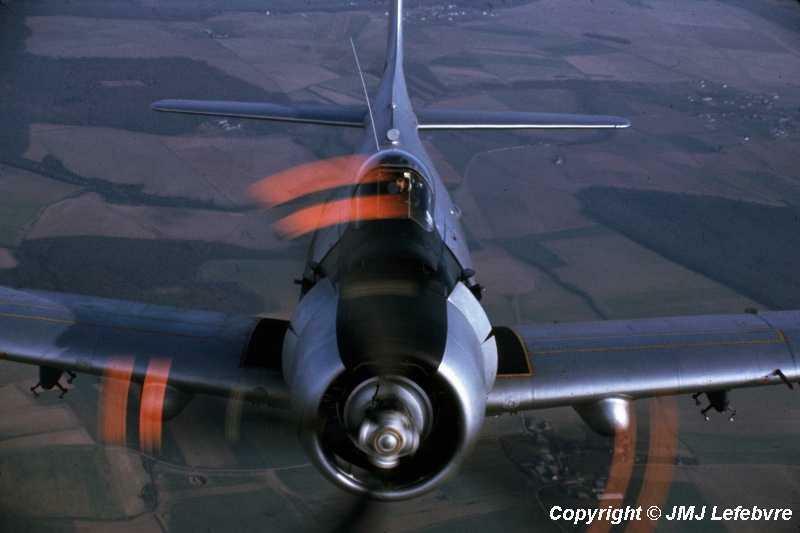 and the more you had luck to become air-sick if your pilot had decided to show you that a Skyraider also was a terrific machine to do aerobatics and capable to spin against sky during a long time under and around its propeller!!! I loved Boufarik skies with their fighter-bombers and storks but not Boufarik Skyraiders into this flying bubbled dungeon...!! !